Ford S-Max Boot Space, Size, Seats | What Car? 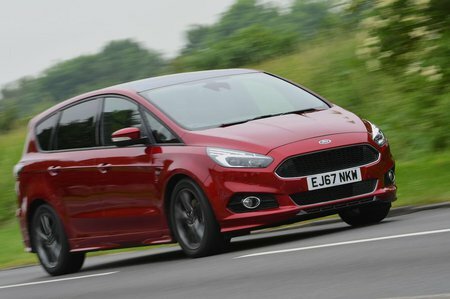 MPVs are all about space and the S-Max certainly delivers on this front. There’s lots of room for even the longest legs and head room is similarly generous. This is a wide car, so there’s plenty of elbow room for you and your front passenger. Storage space is similarly impressive. The door bins are wide and deep, and there are two cupholders between the seats, along with a large lidded storage bin that doubles as an armrest. The glovebox is a good size, if a little shallow, and there’s a small cubby in the centre console that’s the perfect size for a mobile phone. The overhead storage console includes a sunglasses holder, plus there’s a handy lidded cubby on top of the dashboard. Six-footers will be comfortable in the middle row of seats, thanks to generous head, knee and elbow room. There’s also enough space to fit a rear-facing child seat behind a tall driver. In fact, it’s easy enough to fit a child seat to any of the middle-row seats, because they all have Isofix mounting points. The S-Max is less impressive in the third row; leg room is limited unless middle-row occupants slide their seats quite far forward, while the rearmost seats are mounted close to the floor – something that can cause discomfort for adults on long journeys. However, kids should be happy enough, and access to the third row is good because the middle-row seats tilt and slide forward out of the way. If you regularly carry seven adults, a Ford Galaxy, Seat Alhambra or Volkswagen Sharan are better bets. However, the S-Max is a better seven-seater than the Kia Carens. We’ve only tried the S-Max with the optional Easyfold feature, which lets you fold down the five individual rear seats by pressing buttons in the boot. This is a relatively cost-effective option and makes it simple to extend the size of the load area for those occasions when you need to carry lots of junk. However, you still need to pull the seats up again manually, and this involves a fair amount of arm strength. 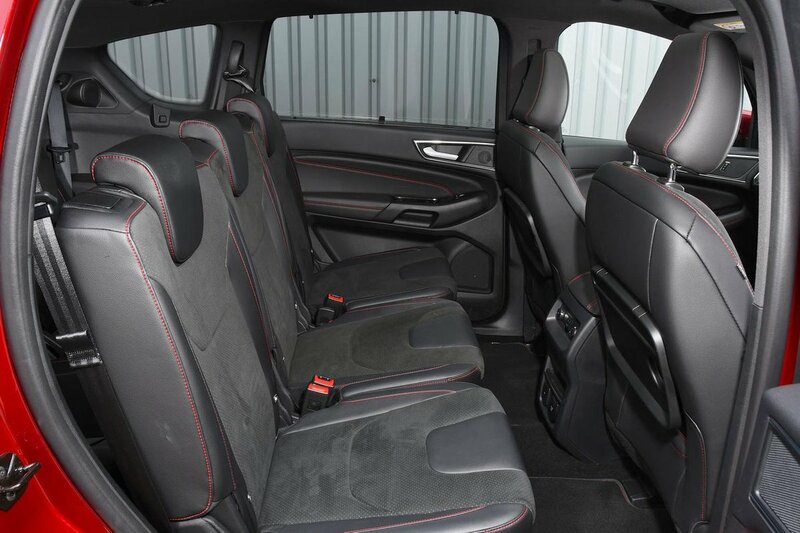 The Citroën Grand C4 Spacetourer and Volkswagen Touran have lighter seats that require less manhandling. The S-Max’s three individual middle-row seats slide back and forth, and the backrests can be reclined if passengers prefer a more laid-back seating position. All models come with height-adjustable front passenger seat with adjustable lumbar support. Even with all seven seats in use, there’s enough space for a couple of bags, as there is in most similarly sized MPVs. If you want more luggage space with a full quota of passengers onboard, you’ll need to look at the larger Galaxy. With the two rearmost seats stowed in the floor, you get a huge boot that’s long enough to take a pushchair lengthways. 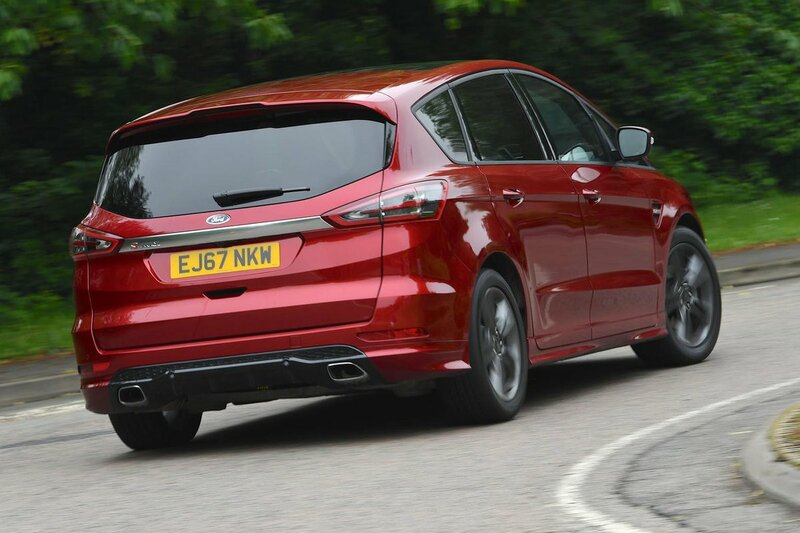 If you need even more room, dropping the middle-row seats creates a massive load bay that’ll swallow 2000 litres; the weekend trip to the tip will hold no fears if you drive an S-Max. The boot opening is also low enough to make loading heavy items less of an effort, plus there’s no boot lip, so you can slide your luggage straight in. A powered tailgate is available as an option.